Whether it's holding lunch or storing gear, this fun retro tin tote is just what any musician needs. This Elvis tote features different imagery of The King on each side. 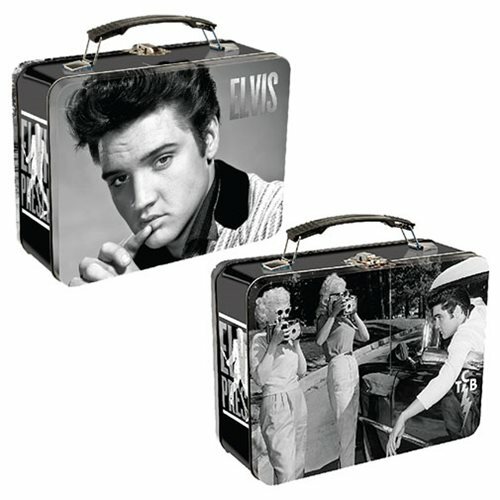 The Elvis Presley Large Tin Tote measures approximately 9-inches wide x 3 1/2-inches long x 7 1/2-inches tall.